KSRealityBites: Vitamin D: Sound science or hype? Vitamin D: Sound science or hype? Some research suggests that a wonder treatment already exists. 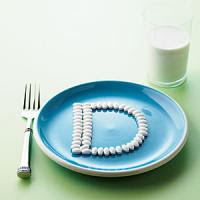 It's vitamin D, a nutrient that the body makes from sunlight & that is also found in fish & fortified milk. Imagine a treatment that could build bones, strengthen the immune system & lower the risks of illnesses like diabetes, heart & kidney disease, high blood pressure & cancer. Yet despite the health potential of Vitamin D, as many as half of all adults & children are said to 've less than optimum levels, according to a 2008 report in The American Journal of Clinical Nutrition. "What we know is that there are a lot of people who are Vitamin D deficient based on estimates from national surveys," said Dr. Michal Melamed, assistant professor of medicine at Albert Einstein College of Medicine in the Bronx. But don't start gobbling down Vitamin D supplements just yet. The excitement about their health potential is still far ahead of the science. Although numerous studies 've been promising, there is scant data from randomized clinical trials. Dr. JoAnn Manson, a Harvard professor said: "People may 've high Vitamin D levels because they exercise a lot & are getting ultraviolet-light exposure from exercising outdoors. "Or they may 've high vitamin D because they are health-conscious & take supplements. But they also 've a healthy diet, don't smoke & do a lot of the other things that keep you healthy." Manson is leading a major study over the next five years that should provide answers to these questions & more.The clinical trial is recruiting 20,000 older adults to study whether high doses of Vitamin D & omega-3 fatty acids from fish-oil supplements will lower risk for heart disease & cancer.